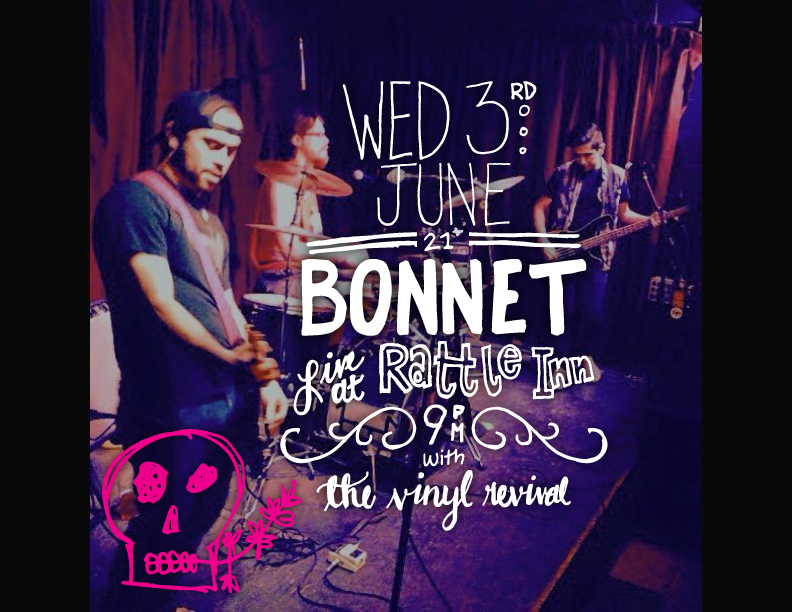 A mix between their roots in punk rock and love of country music, Bonnet created their own genre: Aggressive Country (or alternatively: Broken Hearted Whiskey Rock). In need of a logo, I sat down with band members to talk about their vision. The general consensus was that a skull needed to be in the logo to pay homage to the great punk rockers that inspired them. 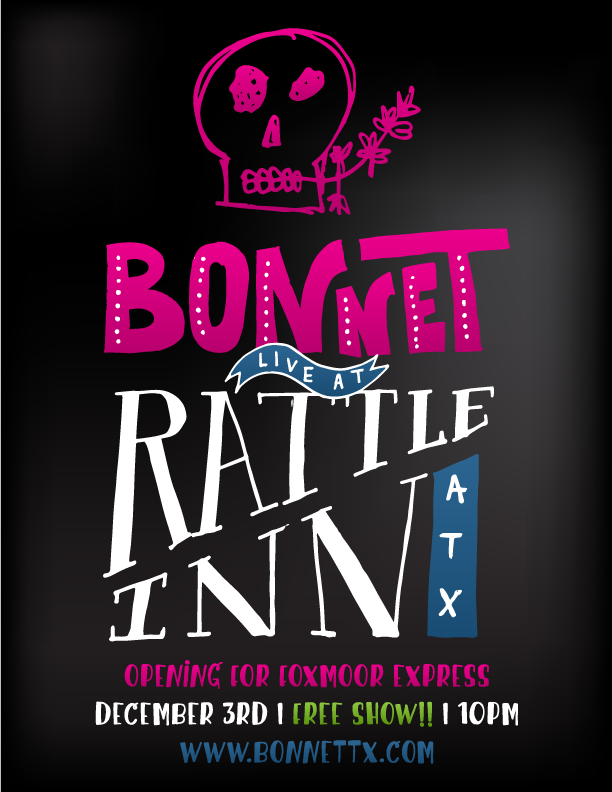 After spending hours drawing every iteration of skull imaginable, Bonnet still was not sold. That’s when inspiration hit and I quickly sketched out a skull with a blue bonnet between its teeth. I explained that this was merely a quick sketch and I would like to take this one and work it out a little more. They said, “No” as they loved the sketch and just wanted the sketch as the logo. And that’s how a quick sketch on a scrap piece of paper became the band’s new logo. Below are posters that I've done for the band. Click on an image to get a better look!